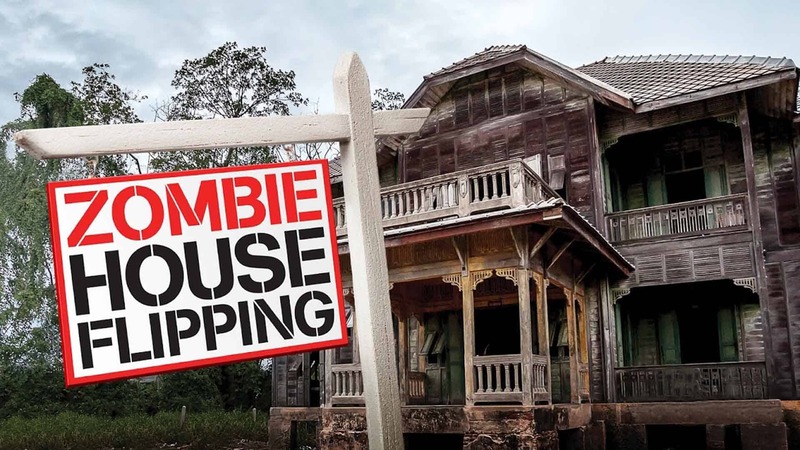 So just to set your mind at ease Zombie House Flipping has nothing to do with the supernatural and it’s not an insane spinoff from The Walking Dead. Instead what this show is meant to do is showcase foreclosures that have been left to molder and rot after they’ve been seized by the bank and are in need of some serious renovations. In some cases it seems as though these houses are about ready to fall down and in some instances might even crumble if one touches a certain spot. But the truth is that some of these houses are quite beautiful and are worth the effort of getting in and knocking down a few walls to recreate something that was likely once quite impressive. The only catch here is that doing this is not always the simplest process since, as it was mentioned, these houses are kind of in desperate need of a tender touch or a wrecking ball, depending on who you’re asking. Here are a few things you might not know about the show. 10. Zombie houses are not quite what you would expect. These aren’t homes that are about ready to fall down in many cases but they are homes that have been left to sit and remain uninhabited for a long while after a foreclosure. In many instances they might look like they’re ready to fall down but are in fact pretty sturdy. 9. There have been accusations that the show is fake.